She was nearly five meters long, weighed more than a tonne, and could fit an entire human torso between her jaws. But the great white shark that washed up on a beach outside Cape Town, South Africa, last Wednesday had met a powerful adversary. A large wound gaped midway down her belly, where her liver had been removed with exacting precision. Residents from the nearby fishing town of Gansbaai, home to a lucrative shark cage diving industry, immediately began speculating that a killer whale was responsible for the attack. The next morning, marine scientists gathered to examine the carcass, the largest great white shark ever dissected in South Africa. By noon, they considered it very likely that the rumors in town had been correct. Great whites are apex predators, embodying a sense of oceanic terror for millions of people around the world. The thought of another creature preying on them is difficult to comprehend. The scientists at the dissection were careful about drawing conclusions, agreeing to wait until completing a full report. But that evening, another great white washed up with very similar injuries, and it was clear that something extremely unusual was taking place. The second shark, a male measuring 3.4 meters, had large chunks bitten from each flank. It took more than 10 people to lift its body onto the back of a truck. Its liver and heart were gone. Three days later, a third carcass—a 4.2-meter male—rolled ashore in Struisbaai, 70 kilometers to the east of Gansbaai. Its liver was also missing. “We’ve never seen anything like this,” says Alison Towner, a shark biologist at the Dyer Island Conservation Trust. According to Towner, this sort of predation has never before been recorded in South Africa, although records exist of killer whales attacking great whites off California and Australia. Shark livers are high in squalene, an oily, nutrient-rich compound that Towner believes is attractive to the whales. “It seems that certain [killer whale] groups specialize in hunting sharks and fish, with a preference for the liver,” Towner says. Killer whales around the world have distinct cultures, with different social structures and hunting techniques. There are growing signs that killer whales in South Africa have acquired a preference for hunting sharks. Last March, researchers learned that killer whales had begun attacking sevengill sharks—a large but docile resident in Cape Town’s False Bay. As with the recently found great whites, the six carcasses recovered had no livers. In Gansbaai, which is usually home to one of the highest concentrations of great whites in the world, the sharks seem to be acting cautiously following the attacks. Cage diving operators have not encountered a single living individual since last week. 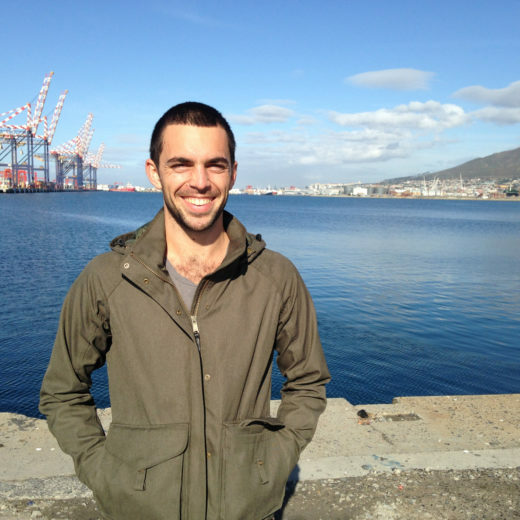 Kimon de Greef is a freelance journalist and criminological researcher from Cape Town, South Africa. He writes about illicit wildlife trades, informal economies, and immigration, among other things. He holds a master’s degree in conservation biology from the University of Cape Town, where his dissertation focused on abalone poaching in a Cape Town fishing community. Cite this Article: Kimon de Greef “Great White Sharks Are Being Killed and Eaten by Killer Whales,” Hakai Magazine, May 11, 2017, accessed April 21st, 2019, https://www.hakaimagazine.com/news/great-white-sharks-are-being-killed-and-eaten-killer-whales/.